Apple cider vinegar is a seemingly-magical liquid which has been used for ages when it comes to taking care of countless health problems, and is fantastic for maintaining quality overall health. The benefits of apple cider vinegar are plentiful, and can be used on various parts of the body while also providing tremendous overall benefit from consumption. It can also be utilized for various uses around the house. Use it to add shine to your hair – Rinsing the hair with apple cider vinegar after shampooing can help to create a healthy shine. Try doing this about two or three times per week. It makes the face clear – Apple cider vinegar can set the ph level of the face in balance, while helping to kill the bacteria that causes acne as well. It can soothe tired hands and feet – Dipping your hands and feet in some apple cider vinegar can be like a spa experience. Use it to treat sunburn – Even though sunburn can be really painful, it can be soothed and treated by including a few cups of apple cider vinegar to your bath. It helps to whiten teeth – As apple cider vinegar has strong cleaning properties, applying it will help remove stains and residue. 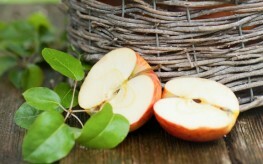 Lose weight with it – Drinking water with a few tablespoons of apple cider vinegar can help you lose fat. Detox with it – Drinking it can also help remove the body’s excess fats and toxins. Wipe your area clean – use it as a cleaning agent. Apple cider vinegar is a strong disinfectant. Reduce pet’s fleas – Use apple cider vinegar to spray on your pets for powerful hygiene and health effects. Apple cider vinegar is truly an amazing product you can use to improve your health. This incredible substance can be used to help treat strep throat, acid reflux, high blood pressure, asthma, hiccups, and so many other health complications. Seeing as the benefits of apple cider vinegar ranges from so many biological uses to even home care traits, it is safe to say that this product belongs in every single household. I have been using Apple Cider Vinegar for dry cough. I have to say; it tastes awful, but WORKS. I’d tried several cough mixtures (which my Dr later told me are all useless for a DRY cough) but Apple Cider Vinegar, whilst not curing it, did help A LOT. I was able to sleep through the night for the first time in days. Way to go Apple Cider Vinegar. Ad DRY Cough Remedy to the list of cures ACV can help with. I just bought a bottle of Bragg apple cide vinegar as I have alot of health problems such as sinus infection, ringing in the ears, acid reflux and E. coli. I am going to try this cider and will make sure I post my results…. This is probably a stupid question, about using it after the shampooing. Does that mean one should mix it with water, or not? If you're going to use ACV to treat skin conditions such as acne or others, dilute to 50/50 with purified to prevent serious irritation! DOES IT HAVE TO BE THE BRAGGS RAW VINEGAR, YOU ALL BENEFIT FROM? I've also used this to replace my hair conditioner and for hair growth. I've had excellent results. My hair was not growing and now is and has been brought back to life! been using for one week Blood Pressure has droppd from 140/90 to 100/75>> wasnt expecting that ,was trying to burn belly fat it also gives this amazing energy lift.. Your blog is truly remarkable, thanks. I love Lipton's peach flavored tea. In 1/2 gallon of it, I put 1/4 cup honey and 1/2 cup of apple cider vinegar and drink it as my main drink every day. I have a microwave teapot, and I use it to help mix it up, melting the honey. I can't say for sure the reason, but blood pressure, cholesterol, and fluid retention have all improved. I know that the tea has sugar in it, but I do not use artificial sweeteners, and I like sweet tea, sweeter than just the honey makes it. I love the drink, and all the ingredients have possible health helps, so I drink it all the time. How to eliminate pimple marks on face and such type of allergies by using applecider venegar.How to apply on face and how to decrease the fat and weight loss of min ten kgs using applecider. I can truly say that ACV is a wonder in a bottle. I was introduced to it by hair dresser, I used it for my high cholesterol and waistline. I have noticed that my high cholesterol has reduced and I am losing the weight around my waistline. I used the Bragg Raw Unfiltered Organic ACV. You won't know until you try it. hi there. how long have u been taking it now? How much do you use when its used for cholesterol? I woke up yesterday with a very bad earache and sore throat on the left side. I'm usually very healthy and rarely get things like this. I remembered reading about using ACV for strep throat so put 2 Tsp of ACV in a glass of water and drank it 2x/day. This morning I'm back to normal. Guess it does work. Try a tablespoon of Braggs or Spectrum vinegar, unfiltered, in a small glass , add a teensy bit of unprocessed honey, not from China, a sprinkle cyanne pepper in it and drink this concoction every morning. In order for vinegar to do its jobs, you must see bits and pieces floating around in the bottle. I prefer Braggs. I got a very snotty cold for 3 days and was back to normal in no time this winter. I've been plagued with sinus infections and swollen glands and sore throats every winter except this one. I can't remember not having at least 4 of them every winter, except this one. I've researched every immune boosting supplement on the market and settled with vinegar, elderberry syrup, and vitamin C, reishi mushrooms, garlic capsules, and they worked!! However I take a lot more on a regular basis, flax, fish, CoQ 10, chlorella and more. A trusted friend and his 'vegie' wife introduced me to a honey and apple cider beverage. Mix 1/8 cup cider vinegar with 1/8 cup (local honey, so you know it is not from China) and pure water to make a pint of liquid. Drink at room temperature. Ice will cause the honey to harden. This balances the body's pH, removes toxins and is a pretty tasty alternative to any soft drink.